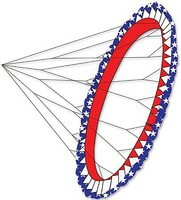 Shop online for 117 kites / windwheels at discounts up to 30%. Gayla Industries is ranked #1 out of 3 kites / windwheels manufacturers, followed by Premier Racing, and Skydog Kites. 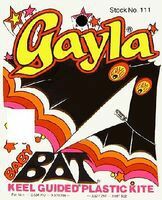 This is the 42x22 Baby Bat Delta Wing Kite by Gayla Industries. This is the 42x22 Solar Max Delta Wing Kite by Gayla Industries. 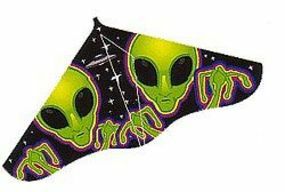 This is the 42x22 Aliens X Delta Wing Kite by Gayla Industries. This is the 48" Sky Dye Stunt Kite from Gayla. Suitable for Ages 9 & Older. 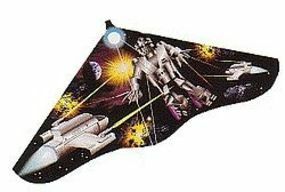 This is the 42x22 Stealth Raider Delta Wing Kite by Gayla Industries. This is the 50x25 Super Bat Designer Delta Kite by Gayla Industries. This is the 42x22 Sky Raider Delta Wing Kite by Gayla Industries. This is the 42x22 Spirit of America Delta Wing Kite by Gayla Industries. This is the 42x22 Terror Saurus Delta Wing Kite by Gayla Industries. 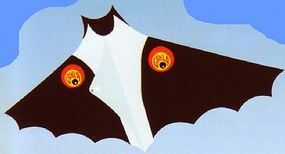 This is the 42x22 Bugsville Delta Wing Kite by Gayla Industries. This is the 42x22 Deep Sea City Delta Wing Kite by Gayla Industries. This is the 55x24 Rainbow Parrot Wing Flapper Kite by Gayla Industries.